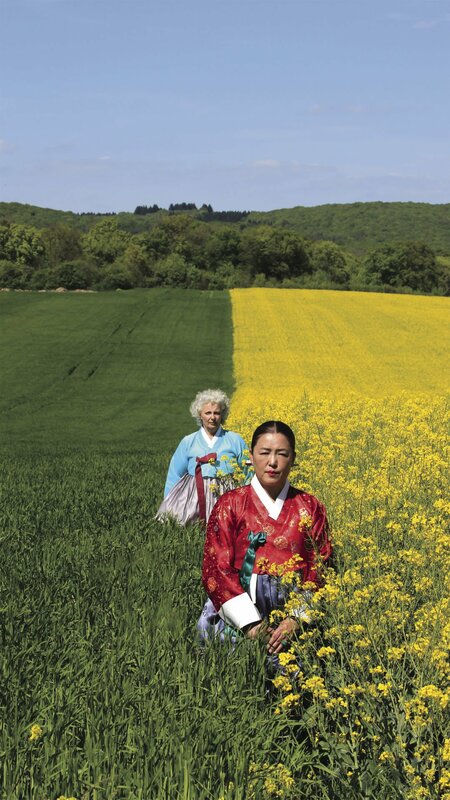 The South Korean film “Shaman Road” will be screening at 4:30 p.m. April 13. Films from around the world will be represented in the 2019 Arizona International Film Festival. The 101 movies that will be screened come from 22 countries, including Albania, China, Iraq, Australia and Switzerland. The theme of this year’s event, which runs through April 21, is “Words Matter, Indie Film Matters,” she said. All but one film will be at the Screening Room, 127 E. Congress. The offerings are eclectic, from documentaries to dramas to animation to comedies. There will be filmmakers at many of the screenings. “We’ll easily have 50 filmmakers this year,” says Schnaible. Among the movies you can see is the world premiere of “Apple Seed,” about a man driving cross country to rob his hometown bank (6 p.m. April 14). The late Rance Howard plays an ex-con hitchhiker who gets picked up by the would-be-bank robber, played by Michael Worth, who directed the film and shot it in Arizona. After the film, Cory Chisel and Alana Sweetwater will perform the original music from the movie at Hotel Congress. Kai Carlson-Wee returns to the festival with his short film, “Cry of the Loon,” an elegy to his grandfather (7 p.m. April 11). Carlson-Wee, a published poet, will read some of his poetry. The Loft will host the screening of the documentary “The Meaning of Vanlife” directed by Jim Lounsbury (2:30 p.m. April 21). It takes a look into the lives of people and communities who travel the roads and live out of their vans. And Tucson native Carr Cavender returns to his old stomping grounds with “To Hell and Gone” which he stars in and produced (7 p.m. April 13). Filmed in Arizona, it’s about deadly criminals and other miscreants who converge on a woman’s ranch. What: 28th annual Arizona International Film Festival. Where: All movies will be at The Screening Room, 127 E. Congress St., with the exception of "The Meaning of Vanlife," which will play at The Loft Cinema, 3233 E. Speedway. Cost: Individual films are $8; you can get five for $25 and an all-access pass for $100. 7 p.m.: "Wheels," about a DJ who deals with his family's struggles in the streets of Brooklyn. Directed by Paul Starkman. "Cry of the Loon," poet/filmaker Kai Carlson-Wee's short homage to his grandfather. 7:30 p.m. "Collisions," a 12-year-old's life is turned upside down when she comes home to discover her mother has been taken away by immigration police. Directed by Richard Levien. 12:30 p.m.: "Blenio, Utah," a documentary about a butcher from Switzerland who hopes to win the Bonneville Salt Flats of Utah's annual break-speed-records competition. Directed by Patrick Botticchio and Alberto Bernad. "Wolf Spirit," a short documentary studying the world of wild wolves. Julia Huffman directs. 2 p.m.: "Quail Lake" finds a French man trying to escape his past and a young backpacker trying to escape her life unhappily sharing a cabin for a weekend. Directed by Roman Wyden. "Desert Prayer," a short about a young woman trying to save her mother's bookstore in Joshua Tree. Directed by Courtney Hope Thérond. 4:30 p.m.: "Shaman Road," about two women who have grown up with visions from deities. Directed by Choi Sang-jin. "Breakaway," the short is about people who deal with mental challenges on a daily basis. Directed by Wang Yao and Zenan Que. 7 p.m.: "To Hell and Gone," directed by Kyle Moore, takes us to an Arizona ranch where a load of bad guys converge on an unsuspecting woman. "Contrato," a short about a couple, contract snipers on the U.S./Mexico border, who is targeted by a smuggler. Director by Hiro Koda. 11 a.m.: "Into The Arctic: Awakening," a documentary on artist Cory Trépanier who returns to the Arctic to prepare for a touring exhibition of his work. Directed by Trépanier. 6 p.m.: "Apple Seed," an ex-con hitchhiker and a man travel across the country, where the man plans to rob his hometown bank. Directed by Michael Worth. More than 25 organizations dedicated to finding homes for homeless pets will be at the fifth annual Adopt Love Adopt Local event.